"I testify that the vision President Joseph F. Smith received is true. I bear witness that every person can read it and come to know it is true. Those who do not receive this knowledge in this life will surely come to know its truthfulness when everyone will arrive in the spirit world. There, all will love and praise God and the Lord Jesus Christ for the great plan of salvation and the blessing of the promised Resurrection when body and spirit will once again be reunited, never to be separated again"
"Whether our sheep are strong or weak, rejoicing or in anguish, we can make certain that no one walks alone. We can love them wherever they are spiritually and offer support and encouragement for the next step forward. As we pray and seek to understand their hearts, I testify that Heavenly Father will direct us and His Spirit will go with us. We have the opportunity to be the 'angels round about' them as He goes before their face." "With the apostolic authority granted me by the Savior of the world, I testify of the tranquility to the soul that reconciliation with God and each other will bring if we are meek and courageous enough to pursue it. 'Cease to contend one with another,' the Savior pled. If you know of an old injury, repair it. Care for one another in love." "I testify that we are sons and daughters of God, the seed of Abraham, the house of Israel. We are gathering Israel for the last time and are doing so with the Book of Mormon—a book that, combined with the Spirit of the Lord, is the most powerful tool of conversion. We are led by the prophet of God, President Russell M. Nelson, who is directing the gathering of Israel in our day. The Book of Mormon is true. It has changed my life. 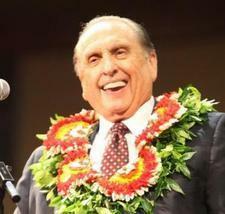 I promise you, as have Moroni and many prophets through the ages, that it can change yours." "Never give up—however deep the wounds of your soul, whatever their source, wherever or whenever they happen, and however short or long they persist, you are not meant to perish spiritually. You are meant to survive spiritually and blossom in your faith and trust in God. "God did not create our spirits to be independent of Him. Our Lord and Savior, Jesus Christ, through the incalculable gift of His Atonement, not only saves us from death and offers us, through repentance, forgiveness for our sins, but He also stands ready to save us from the sorrows and pains of our wounded souls." 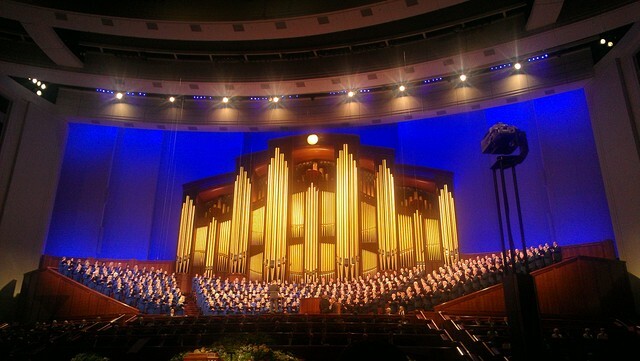 "My dear brothers and sisters, I promise you that if we will do our best to restore the correct name of the Lord’s Church, He whose Church this is will pour down His power and blessings upon the heads of the Latter-day Saints, the likes of which we have never seen. We will have the knowledge and power of God to help us take the blessings of the restored gospel of Jesus Christ to every nation, kindred, tongue, and people and to prepare the world for the Second Coming of the Lord." "Since the beginning, the tests have not been easy. We face trials that come from having mortal bodies. All of us live in a world where Satan’s war against truth and against our personal happiness is becoming more intense. The world and your life can seem to you to be in increasing commotion. "My reassurance is this: the loving God who allowed these tests for you also designed a sure way to pass through them. Heavenly Father so loved the world that He sent His Beloved Son to help us. His Son, Jesus Christ, gave His life for us. Jesus Christ bore in Gethsemane and on the cross the weight of all our sins. He experienced all the sorrows, the pains, and the effects of our sins so that He could comfort and strengthen us through every test in life." "Given the distance between what we are as mortals and what Heavenly Father has become, it is not surprising that some feel that becoming like the Father is unattainable. Nevertheless, the scriptures are clear. If we will cleave in faith to Christ, repent, and seek God’s grace through obedience, eventually we will become like the Father. I take great comfort in the fact that those who strive to be obedient will 'receive grace for grace' and ultimately 'receive of his fulness.' In other words, we won’t become like the Father on our own. Rather, it will come through gifts of grace, some big but mostly small, that build upon one another until we have a fulness. But, brothers and sisters, it will come! "I invite you to trust that Heavenly Father knows how to exalt you; seek His daily, sustaining help; and press forward with faith in Christ even when you cannot feel God’s love. "There is much we do not understand about becoming like the Father. But I can testify with certainty that striving to become like the Father is worth every sacrifice. The sacrifices we make here in mortality, no matter how great, are simply incomparable to the immeasurable joy, happiness, and love we will feel in God’s presence. If you are struggling to believe it is worth the sacrifices you are asked to make, the Savior calls to you, saying, 'Ye have not as yet understood how great blessings the Father hath … prepared for you; … ye cannot bear all things now; nevertheless, be of good cheer, for I will lead you along.'" "In any of life’s travels, why would you ever turn away from the only Savior who has all power to heal and deliver you? Whatever the price you must pay to trust Him is worth it. My brothers and sisters, let us choose to increase our faith in Heavenly Father and our Savior, Jesus Christ." "Our spiritual healing requires us to submit ourselves to the conditions our Savior has outlined. We must not delay! We must act today! Act now so that spiritual paralysis does not prevent your eternal progression. . . . If you have felt the need to ask forgiveness of someone you have wronged, I invite you to act. Tell them what you have done. Ask for their forgiveness. If you have committed a sin that impacts your temple worthiness, I invite you to counsel with your bishop—today. Do not delay." "Choosing to follow the Father’s plan is the only way we can become inheritors in His kingdom; only then can He trust us to not even ask for that which is contrary to His will. But we need to remember that 'there’s no one so hard to teach as the child who knows everything.' So we need to be willing to be tutored in the Lord’s ways by the Lord and His servants. We can trust that we are beloved children of Heavenly Parents and worth 'bothering about' and be assured that 'on our own' will never mean 'alone.'" "Several years ago, while preparing for a business trip, I began to experience chest pain. Out of concern, my wife decided to accompany me. On the first leg of our flight, the pain intensified to the point that it was difficult for me to breathe. When we landed, we left the airport and went to the local hospital, where, after multiple tests, the attending physician declared us safe to continue our travel. "We returned to the airport and boarded a flight to our final destination. As we were descending, the pilot came on the intercom and asked me to identify myself. The flight attendant approached, said they had just received an emergency call, and told me there was an ambulance waiting at the airport to take me to the hospital. "We boarded the ambulance and were rushed to the local emergency room. There we were met by two anxious doctors who explained that I had been misdiagnosed and actually had a serious pulmonary embolism, or blood clot, in my lung, which required immediate medical attention. The doctors informed us that many patients do not survive this condition. Knowing we were far from home and not sure if we were prepared for such life-altering events, the doctors said that if there was anything in our lives that we needed to consider, now was the time. "I remember well how almost instantaneously in that anxious moment, my entire perspective changed. What seemed so important just moments earlier was now of little interest. My mind raced away from the comfort and cares of this life to an eternal perspective—thoughts of family, children, my wife, and ultimately an assessment of my own life. "How were we doing as a family and individually? Were we living our lives consistent with the covenants we had made and the Lord’s expectations, or had we perhaps unintentionally allowed the cares of the world to distract us from those things which matter most? "I would invite you to consider an important lesson learned from this experience: to step back from the world and assess your life. Or in the words of the doctor, if there is anything in your life you need to consider, now is the time." "May we raise our sights to this prophetic vision so we can shepherd souls to the temple and ultimately to our Savior, Jesus Christ. He does not expect us to perform miracles. He asks only that we bring our brothers and sisters unto Him, for He has the power to redeem souls. As we do so, we can and will secure this promise: 'And when the chief Shepherd shall appear, ye shall receive a crown of glory that fadeth not away.'" "I urge you to study these messages, commencing this week. They express the mind and the will of the Lord for His people, today. . . . I bless you with increased faith in Him and in His holy work, with faith and patience to endure your personal challenges in life. I bless you to become exemplary Latter-day Saints. I so bless you and bear my testimony that God lives! Jesus is the Christ! This is His Church. We are His people, in the name of Jesus Christ, amen."